When people experience trauma or severe life stressors, their lives can sometimes unravel. My desire is to help those who have been through stressful or traumatic experiences heal and recover, to find healthy insights and strengthen their relationships and supports so they can feel calm, stronger and more confident in themselves. My style is to help clients find coping strategies as well as empowering them to recognize and use their strengths and abilities to improve their lives. I know how to listen, helps clients identify and understand self-defeating thoughts and behaviors, encourage them to make positive changes, and motivate clients to learn and grow. 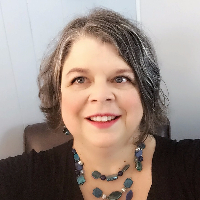 My specialties are woman's issues, anxiety and depression, grief and loss, stress management, self-esteem, coping skills, major life changes, blended families, parenting issues, anger management, and trauma. I know how to listen, help clients identify and understand self-defeating thoughts and behaviors, encourage them to make positive changes, and motivate clients to learn and grow. I look forward to the opportunity to assist you. "I've heard it said that people come into our lives for a reason, bringing something we must learn. and we are led to those who help us most to grow if we let them and we help them in return." -For Good, from Wicked. I sincerely appreciated all of Robin's help during my rough patch from January to May. She was so very supportive and helped me find so many tools for my anxiety and depression management tool kit. I highly recommend her to anyone seeking assistance. She is friendly, kind, and supportive; she truly has your back. Robin has been a wonderful, supportive voice of wisdom and caring. I’m so glad I can reach out to her anytime. Robin is great! She has provided me with some great resources for dealing with anxiety and depression. She is very encouraging and has gone that extra mile to try and help me find resources in my community as well. Thank you Robin! Robin asks good questions and gives resources that are helpful for me. I would recommend this to anyone who needs extra support in their everyday lives. She's like finding someone standing on a path with a lantern and a map after you've been wandering around in the dark forever, not really sure where you were going and what you were actually looking at. I love Ms. Robin. She listens and gives me the advice that I need. I appreciate her. It's nice to vent to someone who can actually provide insight and advice without being judged. Robin has been friendly and welcoming. Her low-key styles helped me focus on optimism and proactive coping skills. We've only been at this for a couple of weeks but she's been a great help to me! I'm excited about working with her! Robin has been a great match for me. She has a profound understanding of what my issues are, without my even having to go into a lot of detail. She was able to provide me with some tools, and some ways of reframing my experiences that helped right away. Much more than I expected, actually. Feeling much better, and very grateful to Robin and BetterHelp. Robin is awesome! She has been attentive and helpful during our time together. She provided insight that I needed during my transition. I have clarity for the life I desire and can move forward thanks to Robin. Robin-is very considerate and checks in with me a lot. I greatly appreciate her input. Robin was approachable, friendly and extremely helpful. I may consult her in future as to emotional needs. She was fantastic. Robin has been quick to respond and a great listener. She has made me feel comfortable with the online therapy process and I trust her expertise. Knowing that she's easily accessible to me when I need her provides me with a sense of calm I have not experienced with other types of therapy. This is a person who understood me from the beginning. Her advice was spot on. Even though my issues still exist, she pulled me out of a dark hole and I thank her so much for that. Very qualified, checks in appropriately if I don't contact her. Friendly, nonjudgmental. I was reluctant with the online counseling at first, but now love it. Robin has been wonderful with advice, resources, etc. Would you like to write a review for Robin Hornstra? We'd appreciate if you can spend a couple of minutes to write a short review for Robin Hornstra (LCSW, RPT-S). This review would be shared with Robin Hornstra. It may also be posted in our website or in Robin Hornstra's profile but it would be anonymous and your identity would be kept completely confidential.